A crown canopy makes a dramatic statement in a room. Long fabric panels fall from under a valance top section, making a sweep of color and style that is unforgettable. But if your bed doesn't have a canopy frame, there are other ways to get the look of a canopy and to surround your bed in softness and color. 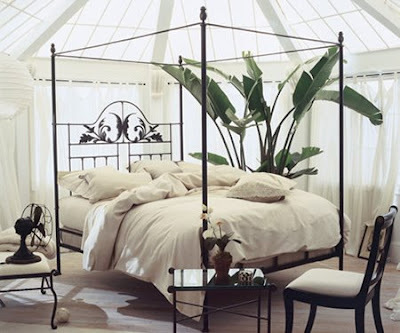 There's really not anything that can make a bedroom feel romantic the way a canopy bed can. 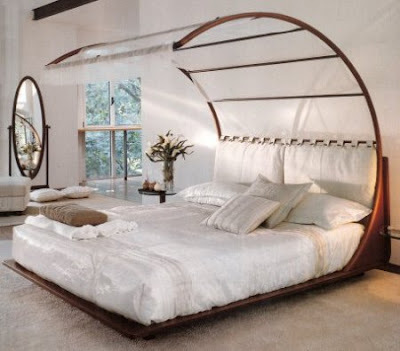 Our article shows many styles of canopies and bed hangings that can turn a ho-hum bedroom into something really spectacular. 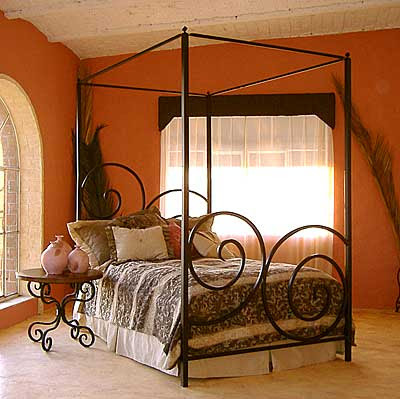 You can really use any type of fabric you want to create a beautiful canopy bed. Traditional fabrics for canopies are chintz, silk, velvet,or tapestry. But you can achieve a fun look for a country setting with muslin or gingham or charming calico. You can also use sheets that coordinate with your bedding to construct the long panels for a uniform look. Go on to see more views of beautiful canopy beds and swag treatments. You're sure to see a style that will give a wonderful romantic look to your personal sanctuary. Find a style of canopy bed that will fit your decorating style and budget and create a really romantic bedroom just in time for Valentine's Day. Where would i be able to buy this.